Keeping a journal may remind writers of their goals and the lessons they’ve learned over time. Journaling can give writers an opportunity to create thoughtful internal conversations with themselves. Sometimes young adults are overwhelmed by the events in their lives. They may allow their emotional reactions to get the best of them. They often react without thinking, only to regret what they did. They may experience abrupt changes in their emotions and moods. Processing “what happened” and “how I dealt with it” is a normal part of growth and personal development. Writing in a journal may be beneficial, especially when developing coping strategies for conflict and nurturing healthy relationships. Journaling allows writers to vent their frustrations without censorship and in a safe place. A journal is like a friend who’s always there to listen to life’s woes, joys, and pain. Journal writing reminds writers of their dreams and ambitions. It can snap them back to reality and remind them of goals and objectives, even when nothing seems to go right. Many individuals think that effective journaling requires spending a lot of time on writing page after page of lyrical prose about their feelings. This lofty perception might be one reason for a lack of interest in keeping a journal. But keeping a journal can exercise creativity, prompt new ideas, and develop an understanding of the world around the writer and the world within the writer. Journal writers may write short or long entries on any subject. They may even choose to draw, write in bullet points, or use whatever form of self-expression feels comfortable. The possibilities for creativity in journaling are endless and personally customized. A journal writer only needs to set aside a quiet time to write, in a location free of distractions, to write what happens each day and reflect upon the events, their reactions, and overall outcomes. Writers may write longer entries than usual when they want or need to vent to release that negative emotion in the personal, private space of their journal pages. They can also write down anything that made them happy and inspired them to take their lives in new directions. Gratitude journals are a popular theme. 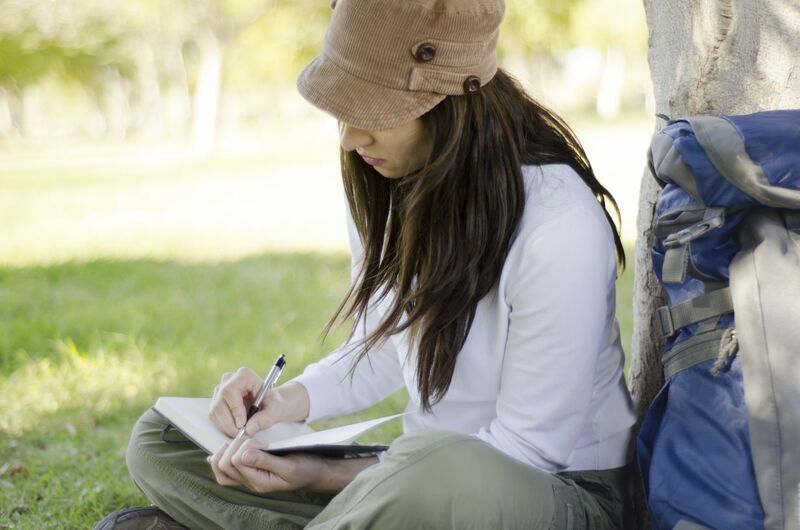 Effective journaling may help to improve the quality of life and/or meet important goals. Different people may have different outcomes, which are almost always favorable. - Develop essential links between their behaviors, feelings, and thoughts. - Clear their minds and diminish the effects of mental illness. - Improve awareness of well-being. - Reduce symptoms of depression. - Reflect on how to best face a challenging task or tackle a difficult problem. - Ignite a lifelong passion for self-expression through writing. - Keep a record of activities that can be referenced when the need arises. - Learn coping skills, which they can use throughout their lifetime. It is beneficial for youths to express their feelings via writing in a journal. In fact, those who keep a journal are healthier than most people who don’t keep one. A 2005 study revealed that the expressive form of journal writing that people benefit from a therapeutic effect. The study participants who wrote about their emotional, stressful or traumatic experiences were less likely to contract an illness. They were in much better shape than their non-journaling friends. The study proved that the youths who expressed their feelings through journaling may get the same advantage. Spending 15 to 20 minutes per day on expressive writing for four months is enough to improve the functionality of the liver and improve blood pressure. James W. Pennebaker, the lead researcher on expressive writing at the University of Texas at Austin, discovered that writing a secret or an experience can make it graspable. The most favorable way to deal with a breakup or a tumultuous relationship is to write in a journal. There are times when a young person refuses to discuss their problems or secrets with another person, even if that person is a family member or a friend. They usually refuse to talk to someone when they think that their problem or secret may embarrass them or put them in an awkward position. They may feel they can preserve their dignity and peaceful existence by keeping their problems a secret. Often, the longer they keep it in, the more they feel like they are being suffocated. They may feel frustrated, annoyed, sad, or angry. Writing out their secrets or embarrassing problems in their private journals can help to release the negative emotions that they harbor. There are also instances where thinking too much about life may put the youth in a difficult situation. Their stress level may likely shoot up. They may find it difficult to deal with their strong emotions and keep them under control. It may soon affect their grades and performance at school. Writing in a journal can help the youth to eliminate these difficulties. It can help them to raise their self-awareness. They can dump their emotional garbage in their journal and feel free. How Often Should You Write in Your Journal? There are no set rules about when to write in a journal, but penning daily words will prove to be the most beneficial practice. It doesn’t really matter how often someone journals, but it is prudent to journal regularly. This can help journal writers to improve their lives and feel proud of the way they turned out or handled a challenging situation. Journal writers can return to their past journal entries and see the areas that they need to improve on, and take action. They may choose to write small entries each day, summarized weekly encounters, or monthly updates about life experiences. There are some people who make yearly updates in their journal. Parents are encouraged to introduce journaling to their children when they learn to read and write. Journaling may start anytime, from youth through adults. Don’t have a journal yet? There are many reasons to begin one now, and reap the benefits of introspection, reflection, and a record of personal history. Journaling can spark creativity, facilitate goal-setting, encourage self-improvement and emotional growth, and nurture important long-term dreams. Journaling can provide benefits to anyone, especially to youths who have yet to experience everything about life. Plan-It Life incorporates journal writing for their youth. It's made a huge difference in how they express their emotions.